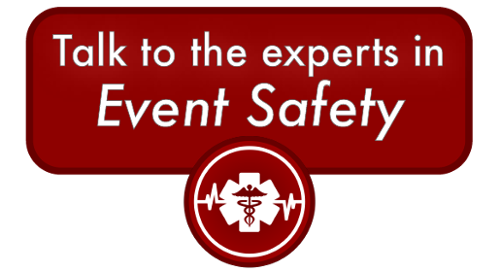 As one of the field leaders in event safety and event medical staffing, Joffe Emergency Services is prepared to handle large venues or events, demonstrated through our medical coverage at the new Banc of California Stadium in Los Angeles or in our nationwide partnership with Warrior Dash races. However, we bring our sense of excitement, joy, and determination to every event we protect. No matter if an event is diminutive or gigantic, it is our commitment to serve it as it deserves. Of course, this sentiment is not overly worthy of praise. What company doesn’t pledge to serve every client as if it were the only client? What’s unique about Joffe, however, is that our organizational structure is designed to ensure this happens! Read on to learn how our event safety division keeps even the smallest events functioning smoothly and successfully. When it comes to the safety of a small event, the staffing is rarely the problem. Even a thoroughly mediocre event safety provider can get two or three EMTs to show up to your event. The challenge arises in making sure that staff is in the right place, at the right time, handling the jobs we need them to handle. Without supervision, guidance, training, and support, these EMTs are not put into a position to succeed or to do the right thing. The “right thing” in this case refers to providing an exceptional level of event safety. At Joffe, our Field Training Officers (FTOs) are at the core of our ability to provide that level of safety. FTOs are highly practiced EMTs, nurses, paramedics, or other healthcare provider with a wealth of experience under their belts in an array of environments. They have strong relationships with local and state EMS officials, which means you can count on your event getting the support it needs quickly in the case of a large-scale situation. They have a minimum of 5 years experience in patient care roles, although most of our FTOs have much more. They also have experience in leading and communicating to diverse teams. This is critical, because one of the most important roles a Joffe FTO fills is as the primary interface between the medical staff and event organizers. These aren’t folks running their first or second event. If and when a problem arises, they are prepared to and capable of making changes, even of the last-second variety. If an EMT has to leave, they are prepared to step in. If the event organizer wants a status update, the FTO provides it. If someone has a message for a member of the event safety team, they pass it along. This will keep your event running smoothly, no matter the size! If you’re looking to run a successful and safe event, check out some of our other resources on the topic below! What Kinds of Medical Personnel Does Joffe Provide? If you have more questions or want to learn about how Joffe would protect your event, (and at what cost) click below!